want more SCIENCE . . with that ART ? ERIC LEISER . . .
has his new series of RUBY PULSE LASER TRANSMISSION HOLOGRAMS . . . up for these next 2 weeks at FLUX FACTORY. Eric says that these holograms “capture a moving image at 26th billion of a second on AGFA FILM MASTERS illuminated by laser light”. 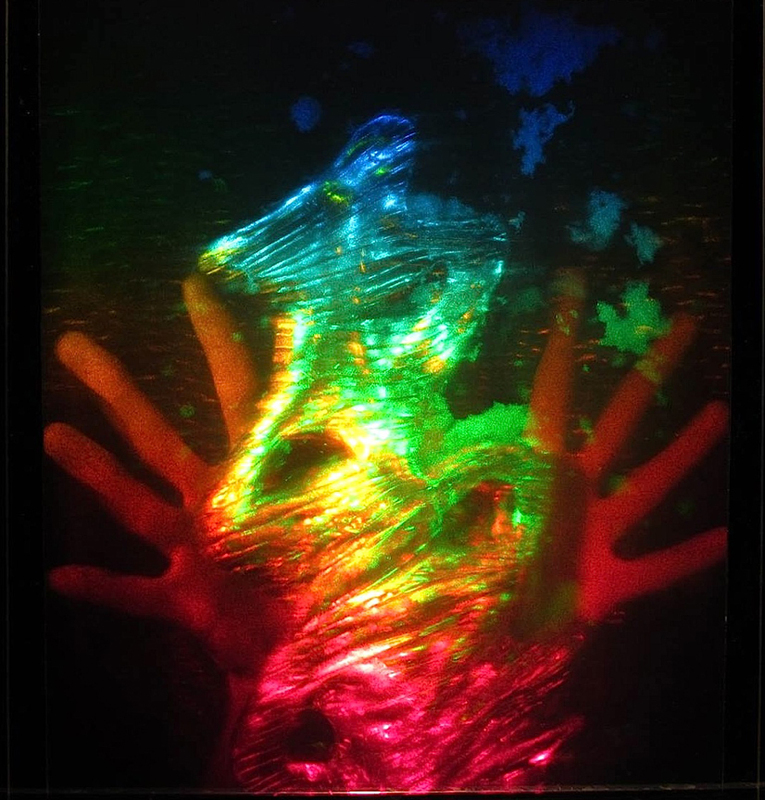 they were made at his recent artist-in-residency at OSU/OHIO STATE UNIVERSITY Physics Department Holography Lab, and are a “rare form of Film Holography – not to be missed’ – !! FLUX FACTORY – 39-31 29th Street, Long Island City, QUEENS. NYC. “HOLONOMIC . . is Leiser’s new series of luminous holographic images that visually contemplate a scholars rock using falling snow, water and light. Created during residency at the Holocenter Pulse Laser Studio these works engage the viewer and open up a conversation about holonomic brain theory.